The upgrades and refinements continue at Riviera. Riviera has always done an excellent job at creating convertibles that split the difference between cruising and fishing, and the 58 Convertible is no exception. But with this boat, there are two new twists: the interior has been upgraded to true yacht-quality levels, and the fishing features have been boosted to satisfy hard-core anglers. Spend a day on the 58, and you’ll realize that the old Riviera reputation for unadorned interiors and limited fishability is a thing of the past. 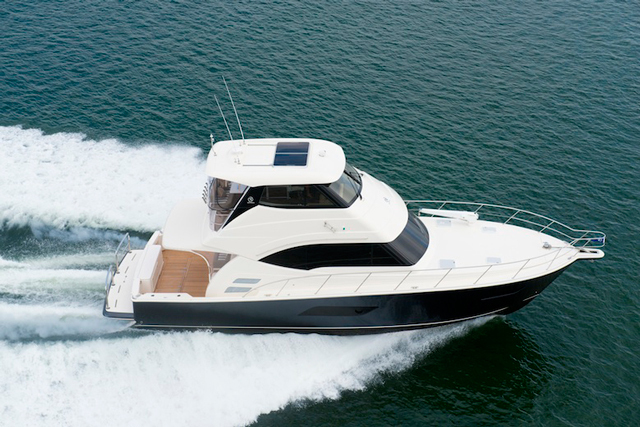 The Riviera 58 splits the difference between a flybridge cruiser, and a serious fishing boat. Where older models had fiberglass surfaces, on the 58 you’ll find multi-coat varnished woodwork (both teak and cherry are offered). 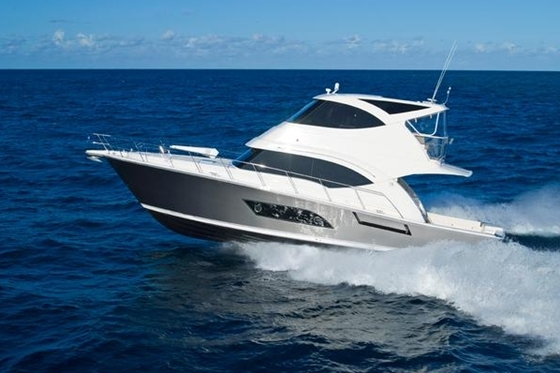 The entertainment center has been upgraded to include a pop-up 40” flat-screen TV that rises out of the cabinetry and a Bose Surround-sound system, and there are also flat-screens mounted in the staterooms. Mattresses are the real inner-spring variety, not those less expensive pads, and the slick under-counter refrigerators and freezers have aircraft-style locking latches. But while raising the bar for luxury on this next-gen Riviera, the company also took angling into account. Integration is the key word: there’s a hide-away rodbox integrated into the salon overhead, a lighted, rounded livewell with a clear viewing port and an overflow valve integrated into the transom, and a pair of insulated fishboxes integrated into the deck. Hatches are RTM molded so they’re light, strong, and finished on both sides, and they’re supported on gas-assist struts. Cushions are available to turn the cockpit bait-prep/freezer/chill box into a mini-mezzanine, and the integrated tackle station has four drawers. Even the bridgedeck has been taken to a new level. The flush-mount electronics flat (which is large enough to accommodate a trio of 15” screens), tilts down into the helm at the press of a button, a feature you usually see only on higher-dollar sportfishers. There’s a wet bar with a reefer so you never go thirsty whether you’re cruising to Cuba or trolling for tuna. And there’s seating for a hefty crew of eight on the bridge. There is room for improvement here: the centered helm chair is too far aft for someone to fit between the chair and the bridgedeck rail, so the captain will have to move any time someone wants to get in or out of the passenger’s side chair. 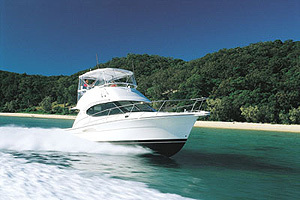 There’s one other thing you’ll discover about the 58, which few boats seem to offer these days: practical operation. 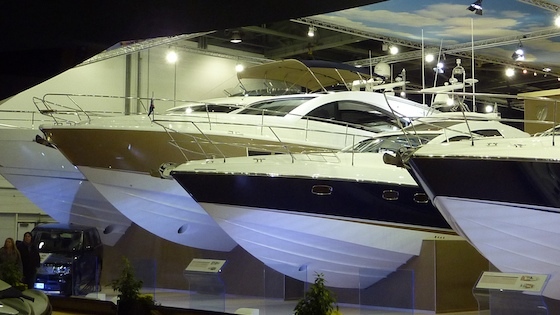 All too often in modern yachts, the builder foregoes function to prioritize form. This is one trend Riviera bucked, and for that they deserve credit. The anchor locker is a perfect example: instead of omitting a big foredeck hatch in favor of smooth looks, there’s an opening large enough to lean your body through, so un-tangling a fouled anchor rode will be easy. There’s also a hefty rail ringing the bow, a basic safety feature many modern boats eschew to maintain sleeker lines. And there’s a pre-molded, reinforced area of the bow designed for mounting a davit and dinghy cradle. The boat even has an intercom system, so when someone goes down into the engineroom, they’ll be able to speak with the captain and vice-versa, without shouting. 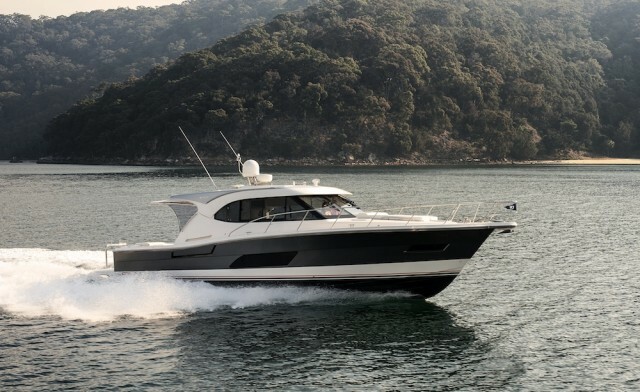 With all of these upgrades, you’d expect the 58 to cost just as much as its competitors, despite the fact that traditionally Rivieras have been comparatively inexpensive boats. 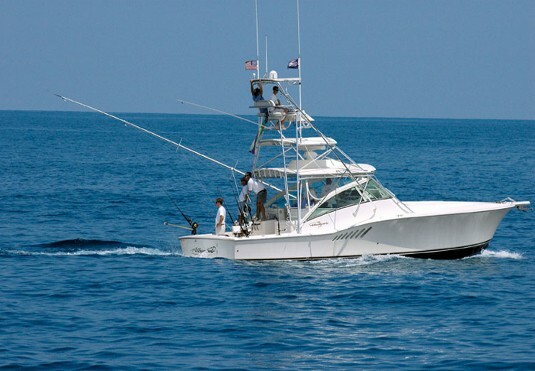 But the 58 comes in at a base price of around 1.5 million, which is a good half-mil or so less than the starting point for most other sportfishers in this size range. Evidently Riviera not only knows when to make changes, it also knows when not to make them. 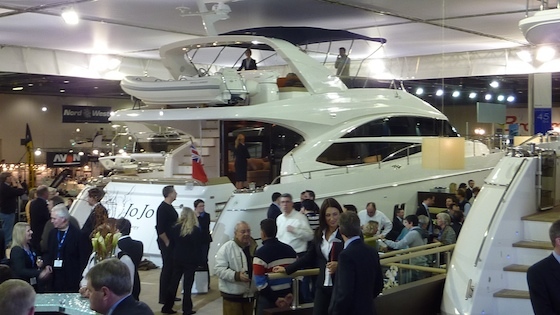 The Riviera 58 has an LOA of 59’8”, a beam of 17’4”, and a draft of 5’0”. 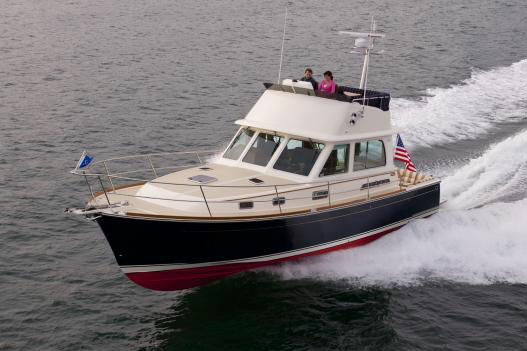 Weight is 66,100 pounds, transom deadrise is 15 degrees, fuel capacity is 1,506 gallons, and price starts at around 1.5 million. Visit the Riviera website for more information.